In a bid to attract Chinese investment in the country, Greek prime minister Antonis Samaras has urged that China should see Greece as a gateway to investment in the rest of Europe. Samaras arrived in Beijing on Wednesday and is paying a five-day official visit to China. A joint communiqué released during Samaras’ visit said Greece welcomes China to participate in the privatisation of the country’s state-owned assets. Ratings agency Fitch has just upgraded Greece and has given it a stable outlook, saying that the country’s Economic Adjustment Programme is “on track”. 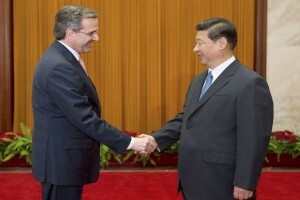 Samaras met Chinese President Xi Jinping and Premier Li Keqiang during his trip. “(We) look forward to closer cooperation between the two sides on trade, shipping, culture and tourism,” Xi said, adding that the Chinese government encourages the country’s enterprises to invest in Greece. Xi said China firmly backs integration in Europe and is ready to make efforts with Greece, who will hold the rotating presidency of the European Union in 2014. Greece has remained mired in recession for nearly six years and almost crashed out of the euro last year.